These lyrics do not mention God as the Creator of this ‘wonderful world,’ but I am thinking about God when I hear this old favorite. Therefore, What a Wonderful World becomes like a hymn of praise for me. By Joshua Rogers, at http://www.joshuarogers.com, August 25, 2018. The woman kept insisting that I hadn’t dropped them off with my suit jacket. She grew more defensive and said that she was positive I didn’t bring in any pants because she always double checks people’s orders. She probably loses people’s clothes all the time, I thought. She went to check one more time and I stopped and thought through the last time I had seen them. When she returned empty-handed, I had an idea. I called my wife and asked her to look in the drawer where I normally put the dirty dry cleaning. Then I waited. My wife got back on the phone. “Yeah, you’ve got some navy blue pants in here,” she said. It’s not the first time I’ve unjustly made negative assumptions though. There was the time I got annoyed with the barista who ignored me when I spoke to him from behind. When he finally turned around and started talking, I realized he was deaf. There was also the time I thought my coworker was nuts because she screamed when I abruptly came around the corner. It turned out that she was a crime victim and the perpetrator had just been released from prison. And let’s not forget how remarkably rude the cashier was on Christmas Eve at the Hallmark store. It was so bad that when I came back in a couple of months later, I mentioned it to the manager. Her polite response caught me off guard. She was right. I didn’t have any idea, yet I’m still prone to give myself permission to read people’s minds, project motives and make assumptions with very little information. James 1:19 says, “You must all be quick to listen, slow to speak, and slow to get angry.” But in moments when we’re convinced we’re right, we do just the opposite: We’re slow to listen, quick to speak and quick to get angry. And when we do that, it says a lot more about us than the person we’re judging. We apparently think we don’t need to slow down and check our assumptions. We’re so wise and knowledgeable that we’re unwilling to give the thing we need: a little bit of grace, which people need regardless of whether our assumptions are right. It’s some pretty good advice, if I don’t say so myself. Maybe one day I’ll start taking it. Ephesians 4:29-32 — Do not let any unwholesome talk come out of your mouths, but only what is helpful for building others up according to their needs, that it may benefit those who listen. And do not grieve the Holy Spirit of God, with whom you were sealed for the day of redemption. Get rid of all bitterness, rage and anger, brawling and slander, along with every form of malice. Be kind and compassionate to one another, forgiving each other, just as in Christ God forgave you. (…continued) Holding on to Muggs got me through a year or two of childhood. Sports and good looks might get you a few good years in high school, maybe college, and for a very few, maybe even a bit more. After that, you better have something else to depend on. And even money, which we all need, will get you only so far—all through your life, if the money lasts, but then not one bit farther. All of these other things will, in the end, let you down. Speaking of security, I just turned 64 years old, so guess what I have been looking at a little closer these days?—Social Security, and the security of my pension fund. And just like holding on to Muggs used to make me feel a little more secure, I am now doing the math and figuring out how secure I will be able to feel when I come to the end of my working years. It makes me feel good and somewhat secure that I can put a certain amount of trust in those resources. Now social security and IRAs and savings accounts will be able to help with the bills a lot more than Muggs ever did; but they are all alike in that they are short term securities, and can be trusted in only for the time being. Thirty years ago there was a woman in my congregation who had a brother that was a Lutheran minister. He was a few years older than me. Don and his wife would show up at our church every once in a while when he was visiting his sister, and we would always have a good chat. Then I moved, but a few years later Don got a call to a church the same area where I was then serving. We renewed our friendship as we would meet each other at conference meetings. Then I moved again and we lost touch, as often happens with friends in the ministry. I did not hear from Don and he did not hear from me for about 20 years. Then one day I saw his name in the newspaper. He and his wife were killed in a car accident not far from the congregation I was then serving. Don had just retired. The financial security he had built up over a lifetime of work helped him only a few months. But that is not all Don and his wife were trusting in. They also believed in and trusted in and found their best security in Jesus, who had promised them He was going on ahead to prepare a place for them; a place that would be secure and safe, even after fatal car accidents. And so they are still okay. That is what you call “building your house on a rock,” as Jesus once described it in a parable in the seventh chapter of the Gospel of Matthew. Jesus told about two men– one who built his house on sand and one who built his house on a rock. And then the rains came, and the streams rose, and the wind blew; and one house stood firm and the other house came crashing down. We can put our trust in many different things in life, but eventually the storms will come. 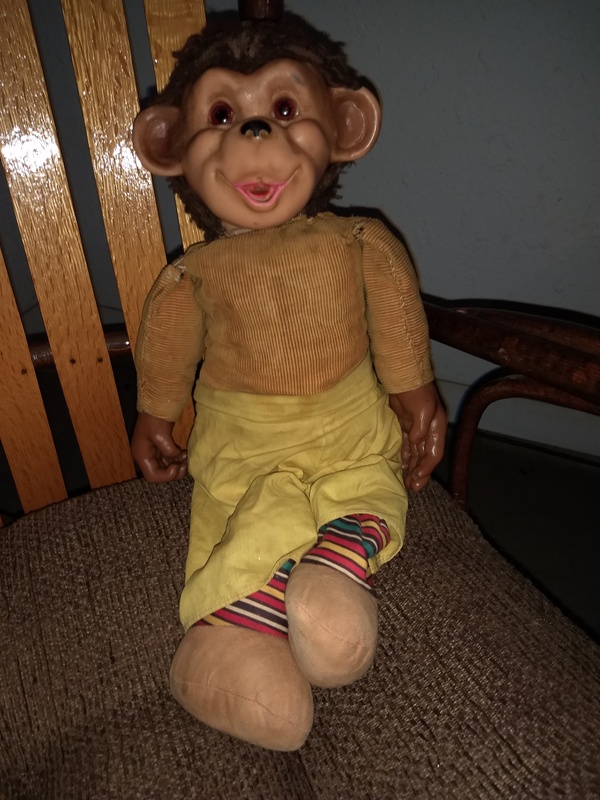 I suppose one of the first storms came for me when some of the older kids in the neighborhood started asking me, “How come you are always dragging around that ugly monkey, you big baby?” So, I decided if I wanted to have any friends I would have to venture out on my own without Muggs. Then, I always liked sports, but I wasn’t much of an athlete, so I knew that wouldn’t get me very far. But I could get good grades, and so I trusted in my intelligence to get myself some scholarship money for college. How else was I going to afford to further my education with college costing $1,850 dollars a year, plus books? I did get the scholarships, and I did all right in college and seminary. But then, working as a pastor taught me I had a lot more to learn yet, and a lot of what I needed to know wasn’t in the books. That is another kind of storm that taught me to trust in someone bigger than myself. Raising kids, serious illnesses, death of loved ones, difficult and painful relationships, etc., — those are the kinds of things that have made me keep looking to that more solid foundation for my life. TRUST, it says, TRUST in the LORD. I want tell you about something else I used to trust in. The photo above is of Muggs. I found him going through a box of old junk in my garage. I have had Muggs for as long as I can remember. In fact, one of my earliest memories is of dragging Muggs along wherever I went—around the house, outside playing, in the car, and to bed. In the crazy way little kids get attached to certain things, I was attached to Muggs. This was a long time ago, and I don’t remember much about it; but apparently, I felt better when Muggs was with me. Many small children have a special blanket that they just have to have with them all the time, especially when they go to sleep. I’ve been told I had one of them, too, when I was even younger. But then later, for a while, I had Muggs. Muggs was my security, something to hold on to, and I suppose in a way, you might even say, I trusted in Muggs. That is what is behind the phrase ‘security blanket’—a child feels more secure with the item in hand, be it a blanket or a favorite doll or a Muggs. And that’s silly, isn’t it? How can anyone trust in, or rely on, something like that? What did Muggs ever do for me? Nothing. He can’t even stand up on his own. We all quickly grow out of depending on such silly little things as that for our security, but we all do then, go on to put our trust in other things, some almost as silly. These other things can perhaps do a bit more for us than a blanket or a stuffed monkey. But they are still not worthy of our complete trust, and will still not give us the ultimate security that we really want and need. Teenagers, for example, well trained by the advertising industry, learn to put their trust in outward appearances. Therefore, some will spend all kinds of time and money on clothes, makeup, tattoos, or their hair so they can look just right, in order to fit in with whatever group they want to fit into. Others will focus on their athletic ability, and they trust in sports to make themselves feel important and special and make life happen for them. And of course, everyone wants money. But it is usually later in life, in adulthood when you are paying your own bills, that money becomes that which is most craved and trusted in for security. That can happen when one gets a little older and has more money; along with a decline in one’s athletic or appearance attributes. Appearances, athletics, money, along with other things like jobs, popularity, position and authority, travel, entertainment, health, houses, and hobbies—any of those things can become all-consuming passions that we begin to focus on, trust in, and rely on more than anything else in life for our meaning and self-worth and direction and security. What do you trust in, rely on, and depend on, most of all, in your life? The Bible says, ‘Trust in the Lord with all your heart and lean not on your own understanding.’ The verse doesn’t say anything about all that other stuff. So what does that mean, ‘Trust in the Lord with all your heart?’ How can we do that? As you well know, we DO need to work, to make money, to pay our bills. You can’t trust God to put the checks in the mail. And, the very nature of some jobs is to, by necessity, have a certain amount of power over people, perhaps even over a whole company. And sports and hobbies can be a lot of fun, and there is nothing wrong with that. And personal appearance and grooming, though way over emphasized these days, should not be neglected either. And we certainly need houses, and we should do our best to stay healthy. All of those are good and necessary aspects of life. But to trust and rely on God means, as it says in the catechism, to “fear, love, and trust in God above all things.” Trusting and relying on God means to see and approach all those other things in light of our relationship with God. So, for example, we must not neglect God in our pursuit of those other things. And we must not disobey God by lying or cheating other people in our pursuit of money or position or happiness or any of those other things. And we must be grateful to God, and not live our lives in resentment because someone else has something more or something better. Rather we should see all of life as a gift and everything that we are or have as coming to us by God’s grace. And so, trusting in God means, as the verse says, to not rely on our own insight or resources or strength, but to trust in God’s direction and guiding in telling us what is most important in life, and then, how to best handle all the rest. God’s Word also reminds us that we live not only for a few years on this earth, but we will live for an eternity. With or without God, we will live for all eternity. This life, then, becomes not the time where we need to desperately do it all and have it all, but a time to prepare and to be ready for what will inevitably come next. Believing in that will change our approach to and understanding of everything else. Although we have been blessed with great freedom, we are not totally free. We have a duty and an obligation to obey God, and to know and understand what God expects of us in our brief time on earth. The book of Proverbs is exactly what the name implies, a collection of short sayings gathered from different places and produced over long periods of time. In general, these sayings represent wisdom derived from practical experience. 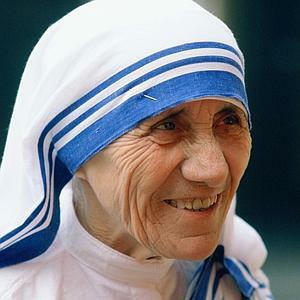 Although they contain no profound contributions to theological ideas, they constitute wholesome advice about the way a person should live in order to attain a simple and peaceful life, obedient to God. Today’s meditation contains a few sample proverbs from the Old Testament book of Proverbs. Proverbs 18:2 — Fools find no pleasure in understanding, but delight in airing their own opinions. Proverbs 18:9 — One who is slack in his work is brother to one who destroys. Proverbs 18:13 — To answer before listening— that is folly and shame. Proverbs 18:14 — The human spirit can endure in sickness, but a crushed spirit who can bear? Proverbs 19:1 — Better the poor whose walk is blameless than a fool whose lips are perverse. Proverbs 19:20 — Listen to advice and accept discipline, and at the end you will be counted among the wise. Proverbs 20:4 — Sluggards do not plow in season; so at harvest time they look but find nothing. Proverbs 20:19 — A gossip betrays a confidence; so avoid anyone who talks too much. Proverbs 21:2 — A person may think their own ways are right, but the Lord weighs the heart. Proverbs 21:6 — A fortune made by a lying tongue is a fleeting vapor and a deadly snare. Proverbs 21:9 — Better to live on a corner of the roof than share a house with a quarrelsome wife (or husband). Proverbs 23:4-5a — Do not wear yourself out to get rich; do not trust your own cleverness. Cast but a glance at riches, and they are gone. Proverbs 23:17-18 — Do not let your heart envy sinners, but always be zealous for the fear of the Lord. There is surely a future hope for you, and your hope will not be cut off. Proverbs 25:28 — Like a city whose walls are broken through is a person who lacks self-control. Proverbs 26:12 — Do you see a person wise in their own eyes? There is more hope for a fool than for them. Proverbs 26:17 — Like one who grabs a stray dog by the ears is someone who rushes into a quarrel not their own. Proverbs 27:1 — Do not boast about tomorrow, for you do not know what a day may bring. Proverbs 27:17 — As iron sharpens iron, so one person sharpens another. Proverbs 28:19 — Those who work their land will have abundant food, but those who chase fantasies will have their fill of poverty. Proverbs 29:20 — Do you see someone who speaks in haste? There is more hope for a fool than for them. Our Father, you called us and saved us in order to make us like your Son, our Lord Jesus Christ. Day by day, change us by the work of your Holy Spirit so that we may grow more like him in all that we think and say and do, to his glory. 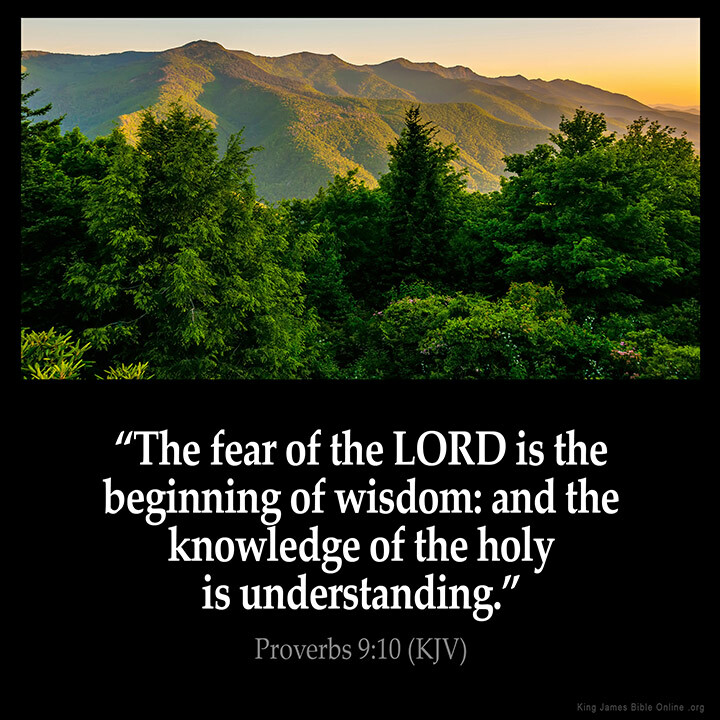 Proverbs 1:1-3 — (These are) the proverbs of Solomon, son of David, king of Israel: for gaining wisdom and instruction; for understanding words of insight; for receiving instruction in prudent behavior, doing what is right and just and fair. Proverbs 4:14, 23 — Do not set foot on the path of the wicked or walk in the way of evildoers… Above all else, guard your heart, for everything you do flows from it. Proverbs 5:21-23 — Your ways are in full view of the Lord, and he examines all your paths. The evil deeds of the wicked ensnare them; the cords of their sins hold them fast. For lack of discipline they will die, led astray by their own great folly. Proverbs 6:6-11a — Go to the ant, you sluggard; consider its ways and be wise! It has no commander, no overseer or ruler, yet it stores its provisions in summer and gathers its food at harvest. How long will you lie there, you sluggard? When will you get up from your sleep? A little sleep, a little slumber, a little folding of the hands to rest— and poverty will come on you like a thief. Proverbs 11:7 — Hopes placed in mortals die with them; all the promise of their power comes to nothing. Proverbs 11:17 — Those who are kind benefit themselves, but the cruel bring ruin on themselves. Proverbs 11:29 — Whoever brings ruin on their family will inherit only wind, and the fool will be servant to the wise. Proverbs 12:1 — Whoever loves discipline loves knowledge, but whoever hates correction is stupid. Proverbs 12:11 — Those who work their land will have abundant food, but those who chase fantasies have no sense. Proverbs 12:16 — Fools show their annoyance at once, but the prudent overlook an insult. Proverbs 13:3 — Those who guard their lips preserve their lives, but those who speak rashly will come to ruin. Proverbs 14:13 — Even in laughter the heart may ache, and rejoicing may end in grief. Proverbs 15:3 — The eyes of the Lord are everywhere, keeping watch on the wicked and the good. Proverbs 15:16-17 — Better a little with the fear of the Lord than great wealth with turmoil. Better a small serving of vegetables with love than a fattened calf with hatred. Proverbs 16:2 — All a person’s ways seem pure to them, but motives are weighed by the Lord. Proverbs 16:18 — Pride goes before destruction, a haughty spirit before a fall. Proverbs 17:13-14 — Evil will never leave the house of one who pays back evil for good. Starting a quarrel is like breaching a dam; so drop the matter before a dispute breaks out. Proverbs 17:17 — A friend loves at all times, and a brother is born for a time of adversity. Proverbs 17:27 — The one who has knowledge uses words with restraint, and whoever has understanding is even-tempered. Proverbs 17:28 — Even fools are thought wise if they keep silent, and discerning if they hold their tongues. By Andree Seu Peterson, posted August 15, 2018, at http://www.wng.org , published September 1, 2018 in World magazine. “Hello Muddah, Hello Faddah” by Allan Sherman, 1963. By Andree Seu Peterson, posted August 1, 2018, at http://www.wng.org , published August 18, 2018 in World magazine. The trouble with the trials God sends into our lives is that He never tells us in advance how long they’re going to last. The danger therefore is to bail out of the testing just before you have a victory: It was a six-month trial and you gave up on the 29th day of the fifth month. Waiting is not cancer, but it’s hard in its own way. One rarely waits to a John Williams soundtrack, which would at least ennoble the monotony. One goes to the office. One does the laundry. One gets no pat on the back and no sign in the sky that anything is coming or will ever be different or better. “Where is the promise of his coming? … [A]ll things are continuing as they were from the beginning of creation” (2 Peter 3:4). Abraham, who lived 4,000 years ago, is still revered above most men who ever walked the earth. Yet what did he do? Did he conquer a continent like Genghis Khan? Did he end slavery in America like Abraham Lincoln? Did he climb Mount Everest like Edmund Hillary? Nothing of the sort. He waited. Twenty-five years he waited. Unglamorous years of eating sand and believing for a son. Just think of the daily talking to yourself you’d have to do under these conditions to keep waiting for something humanly implausible based only on a word you heard way back when. Abraham is one of the greatest men in history for simply believing God for a long, long time. No guesswork on why Joseph’s great: “His feet were hurt with fetters; his neck was put in a collar of iron; until what he had said came to pass, the word of the Lord tested him” (Psalm 105:18-19). How did the word of the Lord test him? By giving him a daily choice between it and appearances. By my rough calculation, Joseph had about 4,745 successive chances (13 years of days) to choose trusting God’s word and faithfulness over bailing out of his teenage vision of the bowing sheaves and stars. Waiting was the secret sauce in Moses’ life too. You’re still too proud and self-reliant, Moses. Go herd goats in obscurity in Midian for 40 years. The waiting will do something to you. Next time you’re in Egypt you won’t be so hot-headed as before; you’ll be “the meekest man on earth” if you let waiting have its way. And you are to “let steadfastness have its full effect, that you may be perfect” (James 1:4). What trial does God have you in? Is your job a drag? Is your husband mean? Is your health subpar? What if there’s a different job around the corner, which you don’t see yet? What if your mean husband is about to be converted by some guy at work, which God foresees but you do not? What if when you wake up sick each morning and you make a choice to praise the Lord, He notes it in His book and it accrues with interest (Philippians 4:17; Revelation 2:7; 20:12)? Waiting is the laboratory of the godly character. We have it all backward when we think our best times are our happy and successful times. It’s just the opposite. I have nothing against happiness and success, but nobody ever learned much by them. Psalm 27:13-14 — I remain confident of this: I will see the goodness of the Lord in the land of the living. Wait for the Lord; be strong and take heart and wait for the Lord. James 5:7-8 — Be patient, then, brothers and sisters, until the Lord’s coming. See how the farmer waits for the land to yield its valuable crop, patiently waiting for the autumn and spring rains. You too, be patient and stand firm, because the Lord’s coming is near. 1959) What is Rich? What is Poor? After their return from the trip, the father asked his son how he liked the trip. “It was great, Dad,” the son replied. “We have a small piece of land to live on and they have fields that go beyond our sight. We have servants who serve us, but they serve others. Proverbs 22:2 — Rich and poor have this in common: The Lord is the Maker of them all. Proverbs 28:11 — The rich are wise in their own eyes; one who is poor and discerning sees how deluded they are. Revelation 3:17 — You say, ‘I am rich; I have acquired wealth and do not need a thing.’ But you do not realize that you are wretched, pitiful, poor, blind and naked.